New York Yankees manager Joe Girardi sat at the table after the game with a dejected look. 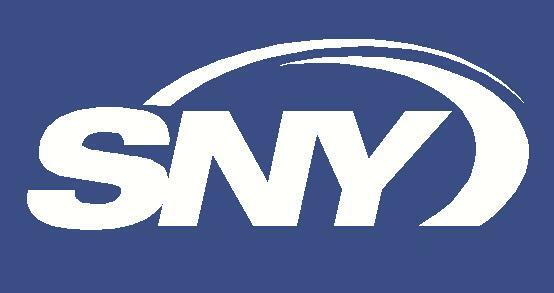 His pitching staff (yes, everyone who touched the ball Monday, not just the bullpen) couldn't hold two separate three-run leads and wound up losing to the New York Mets 9-7 in the latest inception of the Subway Series. While scratching his head trying to work through the questions about the poor pitching display, his news conference turned into a barrage of injury updates, some old, some new and mostly unsurprising. As has been the case for several years now, the Yankees have fielded one of Major League Baseball's oldest teams. With that brings the assumption, and in some eyes the expectation that there will be some injuries along the way. With CC Sabathia being the most recent player, the Yankees have now placed eight men on the disabled list this season, and it could grow quickly to a level difficult to maintain based on Girardi’s statements. Carlos Beltran was removed from Monday’s tilt after swinging a bat in the cage and hyper-extending his right elbow. Mark Teixeira’s legs are filled with cement. Shawn Kelley, who was thought to be better, is suffering from a nagging back problem. Finally we learned last night that Ichiro Suzuki was unavailable because of back pain as well, prompting Girardi to utter words with an I can’t believe this is happening tone in his voice. Believe it Joe. This occurs when the team is filled with older players and those who have a history of missing time. Sure some of the injuries are just bad luck (Michael Pineda and Ivan Nova for example), but much of the problems the Yankees have endured thus far with hurt players can be related to age, previous injury history or both. What’s most interesting about the list of players befell by injury is that it has not included Derek Jeter (39), Hiroki Kuroda (39), Jacoby Ellsbury (an injury specialist) and Brian Roberts (a DL expert). But considering their age and/or history plus the trends, they are sure to suffer their own short-term maladies or find their way on to the DL at some point. It actually seems inevitable considering the Yankees poor luck in recent seasons. Girardi and general manager Brian Cashman will have their work cut out for them filling the gaps. The depth of the farm system, continually a question mark, could be tested very soon and very often for the remainder of the season. Can it handle the burden? “He’s hurt too,” is a tagline no team wants and the Yankees can ill-afford.